On the waterfront, with direct access to the beach. The Inn was designed to be totally integrated with nature. The treatment of the green spaces was idealized keeping in mind the preservation of the native species of the Rain Forest, most of which are in danger of extinction. A great variety of birds and butterflies bewitch our senses, creating a unique, pleasant and cozy atmosphere. The Inn has only 14 units in an area of approximately 9000 m². It is managed by the owners themselves, who opted to leave their professional careers in the city to give life to this paradise. Considered the most traditional and charming hotel in the city, the Marambaia Casino Hotel & Convention could not be located elsewhere: Facing the sea blue and calm waters of the North. Owner of a unique architecture and original, has the largest leisure area and the most impressive social hall with its imposing a átrio.Confort combined with a lush nature create the ideal climate that awaits you at Marambaia Casino Hotel & Convention. Apartments: It’s time for your rest and privacy, the Marambaia offers cozy and comfortable rooms and suites for up to 5 people. Modernized, but without losing the charm and enchantment of 60 years, our apartments are equipped with Automatic Telephone, TV, fridge, air conditioning. Your clever option of leisure, business and events! Located in the heart of Balneário Camboriú, the Plaza Camboriú Hotel awaits you with open arms with its 170 apartments spread in its 17 floors of pure delight. 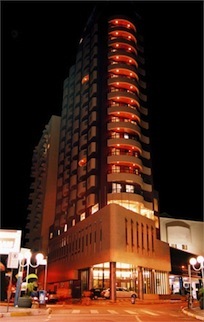 4-star Hotel, located downtown, at about 50 metres from the sea, and next to shops, malls, restaurants and bars. The Marimar Hotel – The Place offers up-to-date accommodation, indoor pool, free Wi-Fi access and free parking. 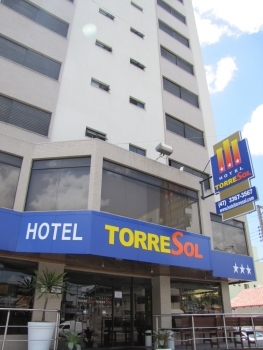 It is 50 metres away from the central beach of Balneário Camboriú. The rooms of the hotel are spacious and decorated with pastel colors, providing a pleasant feeling. All the rooms have air-conditioning system and cable TV. The hotel also offers special rooms, as the Presidential Suite and Executive Suites. The options of meals at the Marimar – The Place Hotel include a breakfast buffet with regional ingredients and International cuisine at lunch and dinner. Convenience coupled with leisure for you to have the best impressions. Balneário Camboriú needs no introduction. Considered the best beach resort in southern Brazil, which includes beach, infrastructure, nature reserve, shopping, leisure facilities and excellent cuisine. To be near all that, stay at the Hotel Bhally. The hotel facilities are: safe, wi-fi, with SKY TV, hair dryers in bathrooms. Within the hotel there are swimming pool, fitness center, business center, restaurant and room service exclusively for guests, valet parking, breakfast included and the convention hall. Excellent location at just one block from the beach, it is the perfect option for you to spend wonderful days with your family on the Santa Catarina coast, with all the care and safety you desire! Close to commercial venues such as restaurants and bars, the hotel offers complete facilities to please all guests, either on a leisure or a business trip. Always with the well-being of the visitors to Balneário Camboriú in mind, the Hotel Blumenau offers cozy accommodation, with great leisure facilities and service seeking to make the most of your stay. Among the number of possibilities of leisure that the city itself offers, you also have options in the hotel, as sauna, indoor pool, game room and gym. The Hotel Geranium is located just 100 metres from the Praia Central, in Camboriú, and offers outdoor and indoor pools, breakfast buffet and game room. Private parking is available, as well as free Wi-Fi. The rooms are equipped with air-conditioning system, state-of-the-art bathroom, Cable TV, telephone, minibar and safe. 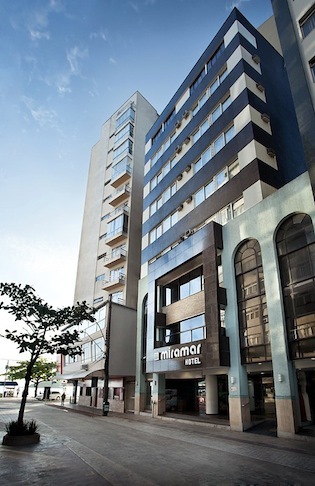 The Hotel Geranium is a 4-star hotel located 2 blocks away from the Balneário Camboriú Shopping. The Balneário Camboriú Bus Station is 3.5 km away. Balneário Camboriú is the most important city of Santa Catarina coast. The cosmopolitan destiny unites beautifu beaches and lifestyle with safety, nightlife, great shopping and a number of tourist attractions. The Miramar Hotel is one of the most traditional hotels in Balneário Camboriú. Constantly being updated, in order to serve you better, it has several entertainment options, with attractions for both adults and children and incomparable quality of service. Located on the famous Calçadão da Central, it is just 20 minutes from the Praia Central, which provides both safety and tranquility. The Pousada Dona Francisca has undergone an extensive remodeling, with the objective of offering greater comfort to its guests. Is has complete facilities to provide its guests with unforgettable moments of holiday pleasure with their families. We are surrounded by the most beautiful beaches in the South of Brazil, with diversity to please all kinds of guests: quiet, calm beaches or beaches with waves indicated for the practise of surf, all with crystal clear water and proper for bathing. Among them are: Balneário Camboriú, Laranjeiras, Taquaras, Taquarinhas, Estaleiro, Estaleirinho, Pinho (naturism), all of which are at a maximum distance of 7 kilometers from the Inn. In a great location, with easy access to the tourist landmarks of the region and qualified service, it is an excellent option of accommodation in Balneário Camboriú. Besides its facilities, the HOTEL TORRESOL also offers several leisure options, comfort and hospitality to its guests. Visit the hotel and get to know the hotel facilities and live an amazing and unforgettable experience! FAÇA SUA RESERVA PELO SITE OU COM UMA DAS AGÊNCIAS OFICIAIS.